An article in the Guardian this week claims that more than 25% of UK pubs have closed since 2001. The Office for National Statistics (ONS) said the number of pubs had fallen from 52,500 in 2001 to 38,815, with landlords on the outskirts of major cities most likely to have closed in comparison to those in city centres. As expected, small independent pubs have witnessed the greatest degree of decline, as large commercial chain venues have grown in number. The number of small pubs has slumped from 38,830 to 22,840 since 2001, while the number of medium and large ones has risen from 13,670 to 15,975. But is this decline a fault of planning or is something else at play? 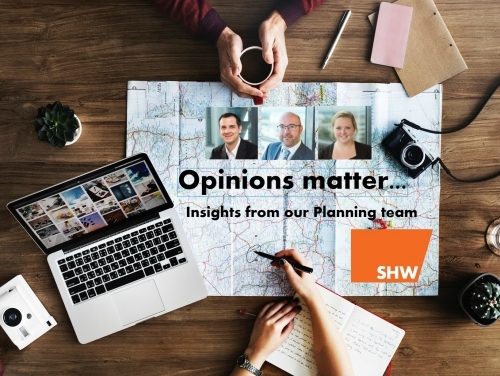 Back in 1995, the change of use from pubs to shops, restaurants and cafes or housing were considered "Permitted Developments" with deemed planning permission without the need for a developer to make a formal application for planning permission. The 2011 Localism Act intended to change the culture of local authority decision-making and the relationship between residents and local authorities, by giving the latter new powers of innovation and the former new powers to develop or oppose development according to their own Neighbourhood Plan. This made local voices far more important, forcing both planning authorities and developers to take more account of local opinion, especially with local communities now able to list pubs as Assets of Community Value (ACV) – protecting them from future development. Permitted Development Rights were changed further in 2015. Initially intended to allow pubs to be changed into retail or housing without the need for planning permission, pro-pub campaigners campaigned for greater protection for pubs through both the planning system, and through ACV status. They were successful in part, as the new Rights exempts pubs from change of use into housing without consent, while saying they may be changed into retail, including supermarkets. This gave rise to the introduction of more local convenience stores such as Tesco Express and Sainsbury’s Local, replacing pubs as the centre of the community. It took a further two years for this additional Permitted Development to be amended/removed, providing greater confidence of pubs remaining. Whilst this does give the impression that planning is to blame, we must also look at ourselves and social changes which have compounded the issue. The smoking ban in 2007, a preference to “trendy” wine bars, an image problem regarding beer and health or even a generational change in drinking habits. Essentially if pubs are visited less, income drops, investment drops and landlords have to look elsewhere for either income or an exit strategy. Going forward, the question remains as to whether this is a continuing trend, or have we reached a peak in pub closures.